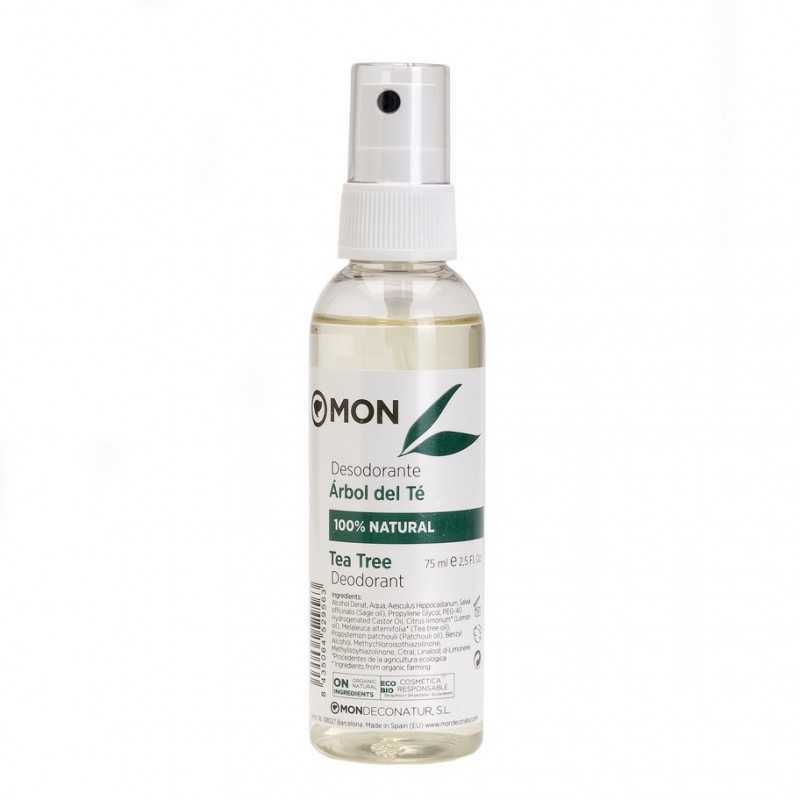 Deodorant Tea tree without aluminum or triclosan. A natural, fresh, soft and non-toxic anti-breathable. A pleasant aroma that allows perspiration without, however, leaving odor or irritating the skin. No dyes, no artificial perfumes, no parabens. It does not irritate and will make you feel protected throughout the day. Avoid toxic products in your daily hygiene by protecting yourself with this deodorant made with natural extracts of Salvia and Horsetail and essential biological oils from Tea Tree, Lemon, Patchouli and Salvia. Alcohol Denat, Aqua, Equisetum Arvense Extract, Propylene Glycol, Citrus Lemon Peel Oil *, Limonene, Melaleuca Alternifolia Oil Leaf *, Salvia officinalis Leaf Extract, Patchouli Leaf Oil, Citral, Geraniol, Linalool, Coumarin. * Ingredients from organic farming.